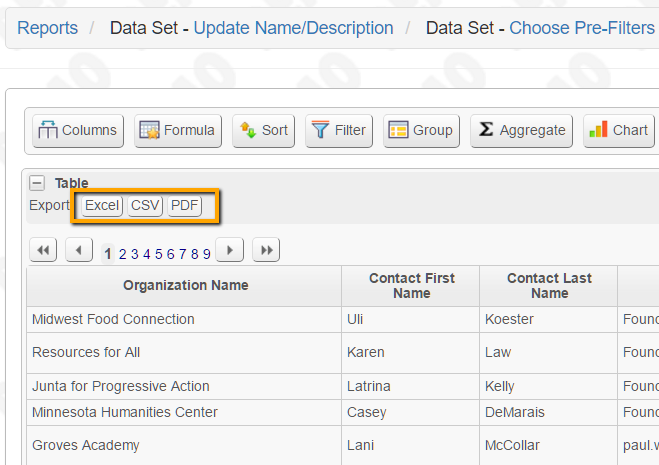 Once you have run a report, you can export it to an Excel, CSV, or PDF document. Click the desired export option at the top left of the report and the report will download to your computer. Tip: Even when you plan on working with the data in Excel, it is often easier to export to CSV, which will normally open in Excel.